BAHAMAS :) - Breaking news. Half week, the album Different Gear Still Speeding is 1st in the international chart, 3rd in UK, 5th in Japan, but we have to wait and see. More details soon. Another recent article. By the tone in his voice, Liam Gallagher makes it seem that having a much-publicized new album, competing with the legacy of his old band Oasis, is the most natural thing on earth. Voted the best rock and roll front man of all time by readers of Britain’s Q magazine, ridiculed by others for a few loutish public episodes and applauded by yet others for his modish Pretty Green clothing line, Gallagher is sitting by a speaker phone, in the Bahamas, he says. 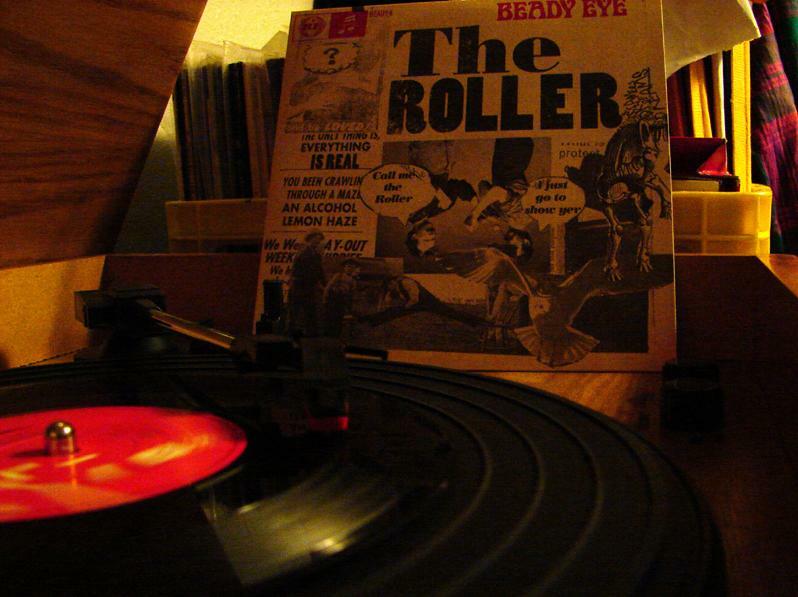 His new band Beady Eye, a.k.a. the remnants of Britpop standard bearers Oasis, is semi-rehearsing, semi-vacationing prior to the release of the group’s debut album Different Gear, Still Speeding. How Gallagher got to this point is already chapter and verse to fans. Oasis had existed under the thumb of Liam’s brother and the band’s main songwriter Noel. One fraternal backstage fight too many, this time over who ate the last M&M (Noel did, according to Liam), led Noel to finally quit after 18 years. The rest of the band quickly decided to carry on, in much the same classic Brit rock vein. Liam and Noel haven’t spoken since. So, what was recording the new album like without Noel leading the show? “We felt a lot more at ease. We went in, threw in a lot of ideas. We never felt like we couldn’t say anything. We just tried everything, and if it stuck, it was great,” Gallagher says, pronouncing “great” with a Northern English, Beatle-esque trill. ’R Kid, Mancunian slang for a pal or younger brother and Liam’s designation in Oasis, typically found himself recording his vocal tracks after much of the work had already been done on Noel’s songs. This time around, Liam was more integral to the whole process. Beatles & Stones could include “& The Who” in the title, given the song’s My Generation imitation riff, while the single The Roller opens with a swing basically identical to John Lennon’s Instant Karma. Gallagher has, throughout the years, always said he isn’t trying to reinvent the wheel. Oasis and now Beady Eye are codifying and updating a classic British rock sound, just as Gallagher’s Pretty Green collection does with classic mod style. Still, did the Beady Eye guys look at each other in the studio and realize they would need to change a chord or a chorus here or there to prevent homage from slipping into outright copying? Adds Gallagher: “I’m from Manchester, which is a little bit down from where the lads were from in Liverpool. So, it would be different if it was from Peru. Then you’d have a case, you know wha’ I mean? “…The Beatles,” Bell finishes off with a laugh.